Description: Two spacious 2BR apartments which rent quickly as the property location is quiet and very desirable, plus two efficiency apartments in the rear. The efficiency apartments rent very quickly too as we include power and water. 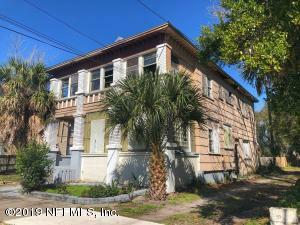 The two BR apartments are in a large single family home converted many years ago. Converting back to single family would be possible. Tenants can walk to Orsay, South Kitchen, FSCJ, Bike to Shoppes of Avondale. and King Street Roof inspection and statement as 7-10 years remaining life. WDO Bond as of 01/07/2019 Updated wood repair and new exterior paint as of 4/20. New panel and breakers in apartment 1412 April 2019. the property is in excellent condition and with great tenants. Income is $3290 per month. 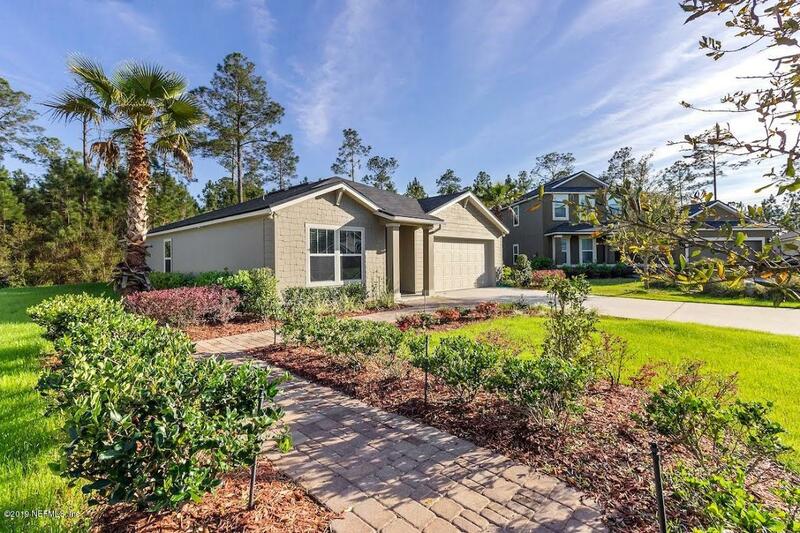 Description: Private fenced back yard and excellent floorplan with guest bedroom on the main floor, Master and 2nd bedroom upstairs. Tile throughout 1st floor. New roof 2016, new A/C June 2018. Description: Investors and home owners! 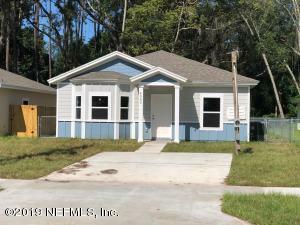 Take advantage of this three bedroom affordable home now before it goes! This home is ready for TLC and repairs but overall power is on and home is set up for central heat and air! 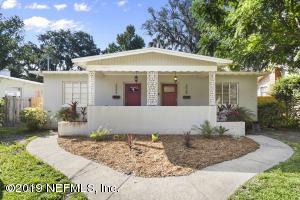 Can easily rent for $775/mo. after repairs have been completed. 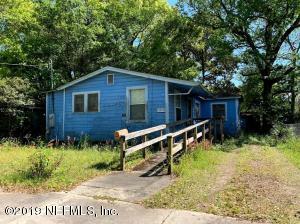 Come see for yourself the potential this property has to offer! 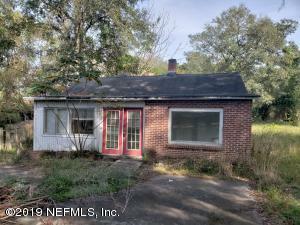 Property is being sold in AS-IS condition. Description: GREAT INVESTMENT DUPLEX, each unit has 3 bedrooms and one bath, both are flats one is upstairs flat, one is downstairs flat! All have oak floors needing some TLC Bring your Home Depot supplies and your imagination as this grand lady does need work, but she is very sound, needs electric connected, ac, appliances, paint, etc. 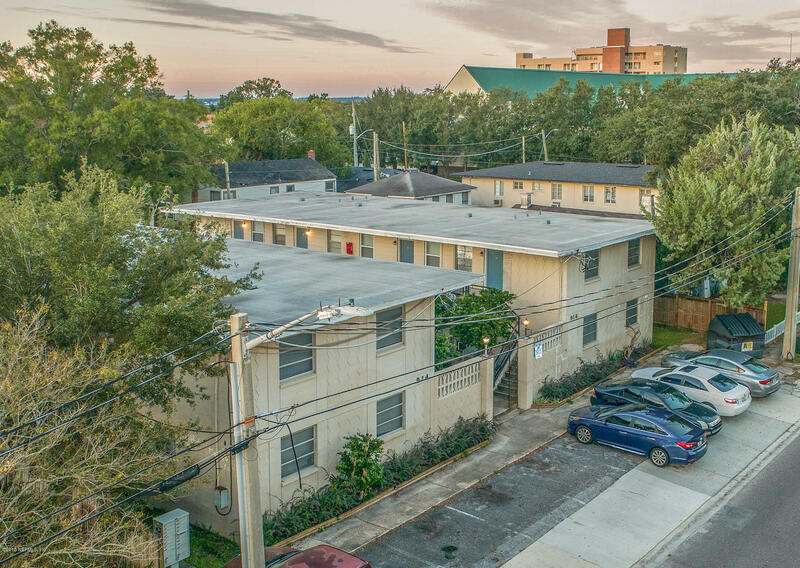 Locations is beside Shands Hospital, Darnel Cookman Jr and HIgh school, easy access downtown and highway. 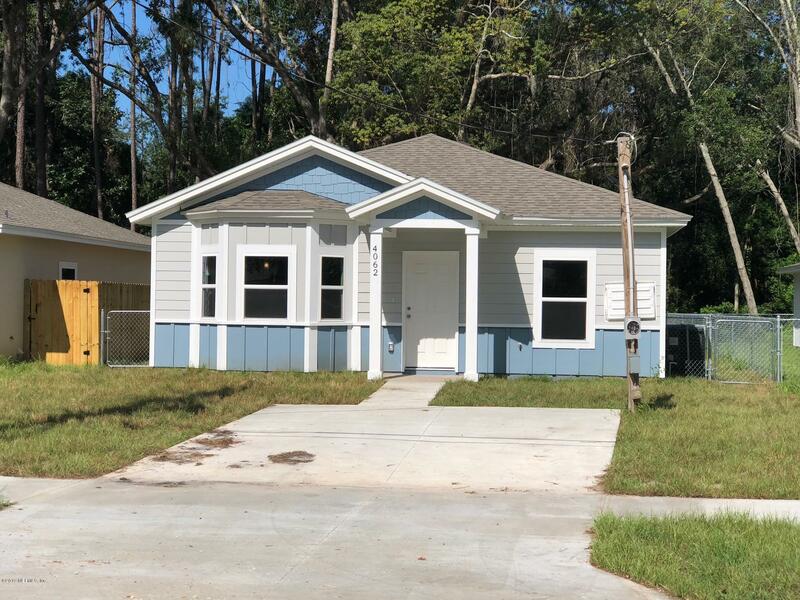 Each unit has 3 bedrooms and 1 bath. This home also has 2 car garage. 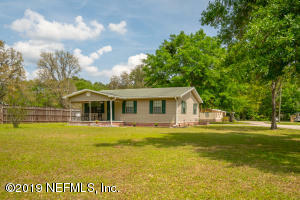 Also listed under Residential MLS #988819. 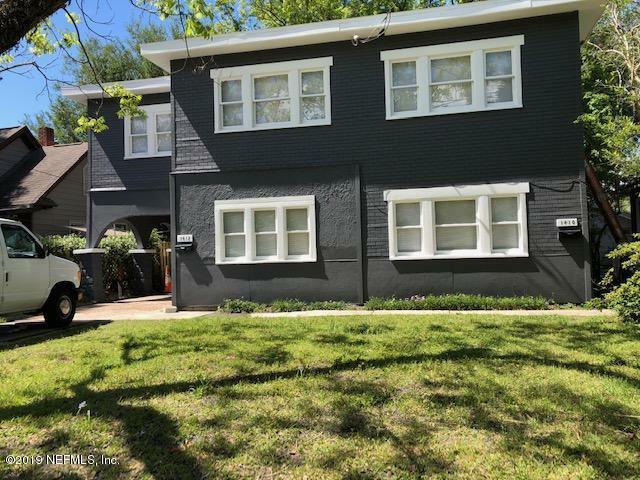 Description: Fantastic opportunity to own a duplex close to all the shopping and dining in Riverside/Avondale. 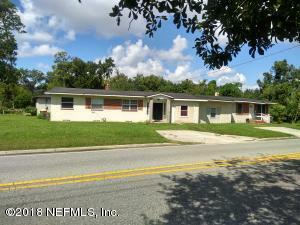 Live in one unit and rent out the other; or rent both for max cash flow! 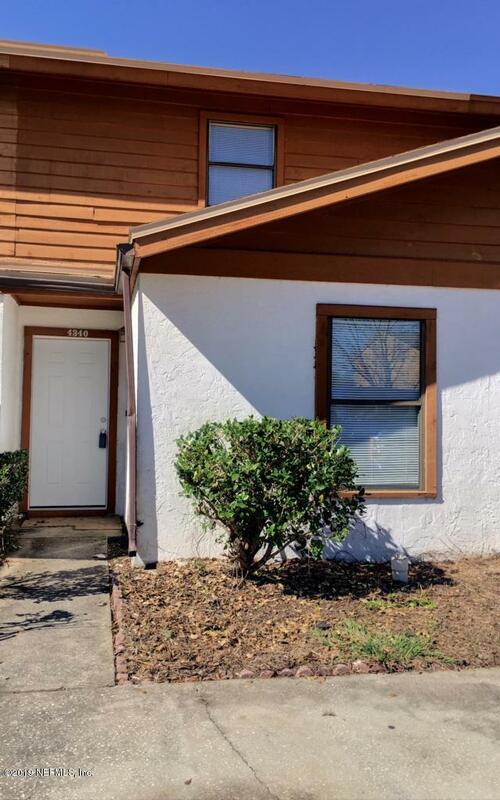 Features include fresh paint throughout the interior and exterior, new hardwood flooring inside both units. Crown moulding, new lighting/fixtures throughout, inside laundry room in each. 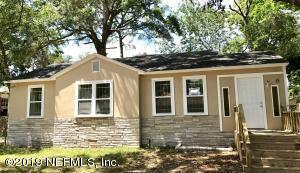 Completely remodeled bathrooms - fully tiled shower/tub combo with glass door enclosure in upper and lower unit. Lower unit includes brand new stainless steel appliances. Roof replaced in 2017 and each unit has own water and electrical meter. Fireplace in both units. Plenty of space to enjoy the Florida weather â downstairs unit has a great a front porch, and the upstairs unit has a private balcony. 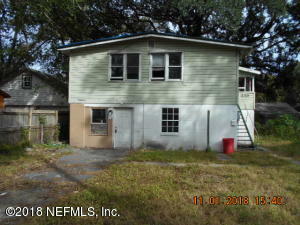 Description: CALLING ALL INVESTORS... COME SEE THIS NICE 2 STORY CONCRETE BLOCK DUPLEX ON THE WEST SIDE OF JACKSONVILLE. 2 BEDROOMS 1 BATH AND A DEN IN EACH UNIT. PRICED TO SELL. PLEASE EXCUSE THE DEBRIS. UNITS ARE BEING REPAIRED AND WILL BE COMPLETE IN A FEW WEEKS. 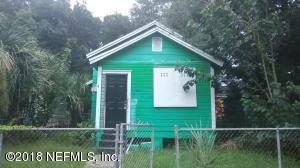 Description: Fabulous investment opportunity -- concrete block construction duplex in a great Avondale location! Each unit has beautiful wood floors, 2 spacious bedrooms, and updated kitchen. Both units are occupied and on a yearly lease. Unit 1 rents for $1275 per month and unit 2 rents for $1423 per month. Showings need to be arranged with 24 hour notice through the seller. Photos are of the unit on the right. The other unit has similar finishes. Roof will be replaced once there is a signed contract. Funds to address the foundation issues will be escrowed for buyer from seller proceeds. See Documents for more information. 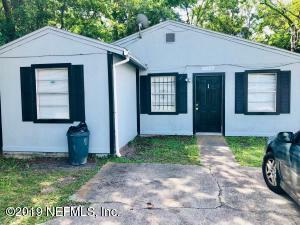 Description: Tenant occupied 2-unit property. Front unit has been recently renovated with laminate flooring, all new kitchen and interior paint. Long term tenant. Screened front porch. 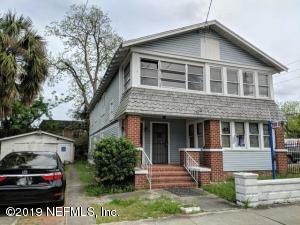 Front unit $725 per month; Rear unit flooring and repairs have been made; rents at $550 per month. 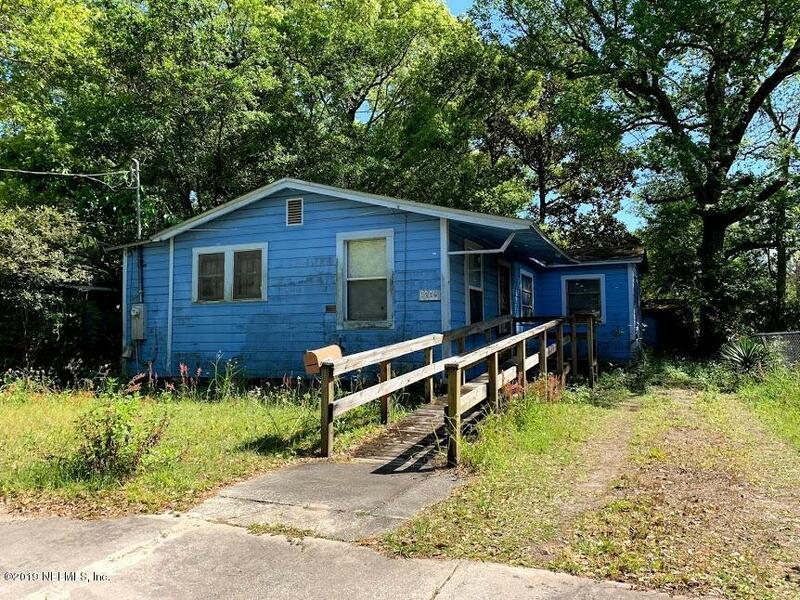 Description: Remarks: Here's an income property with potential and located in a quiet area. 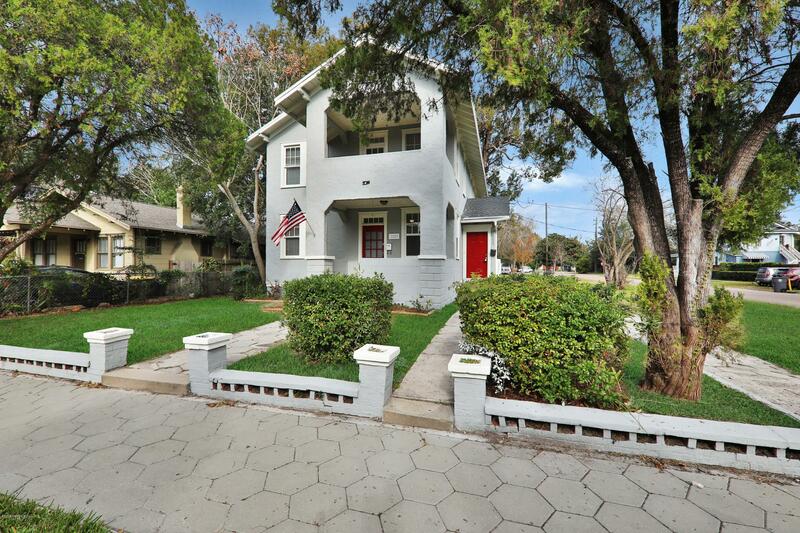 It's a 2/1 property that's been updated to today's standards. 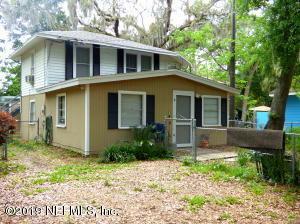 This property has been recently rented out with the tenants on a 12 month lease paying $750.00 per month. 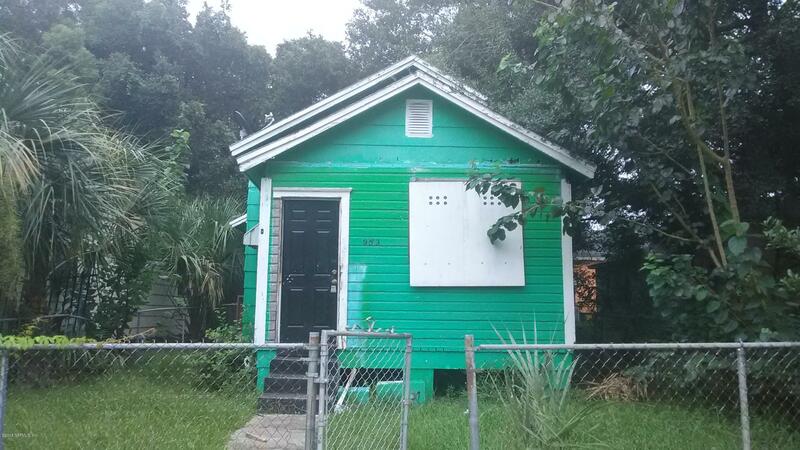 Description: Minutes from San Marco and main highways and a block away from the Hendricks Ave. Elementary School. Upstairs 1/1 apartment rents for $730 electric and water included. Downstairs is a 2/1 and rents for $830 electric and water included. Good long term responsible tenants. Description: Unit has been DARTed but has lots of potential. 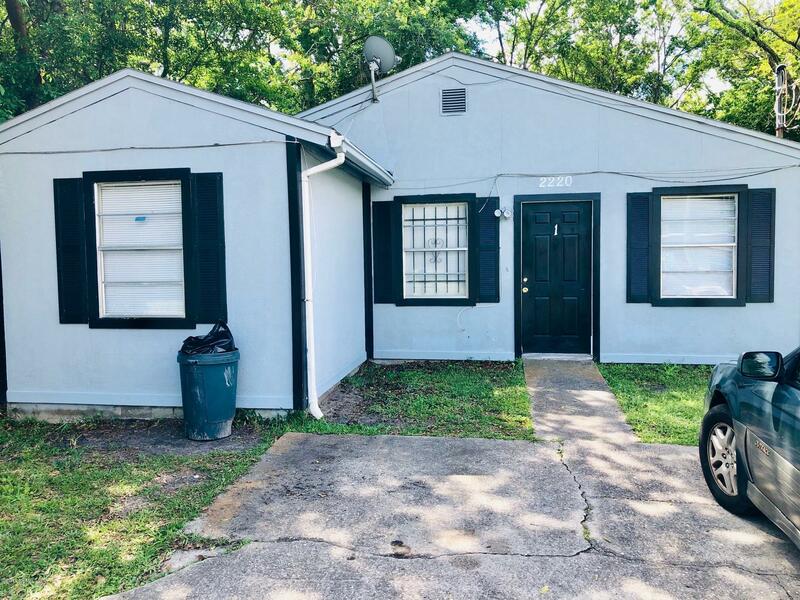 Seller has other units in mls. Description: CASH OFFERS ONLY! 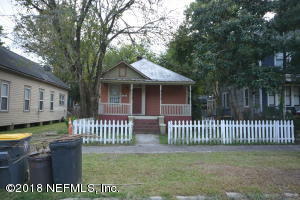 Rarely available DUPLEX in the area, could make an excellent opportunity to live in one side and rent the other. 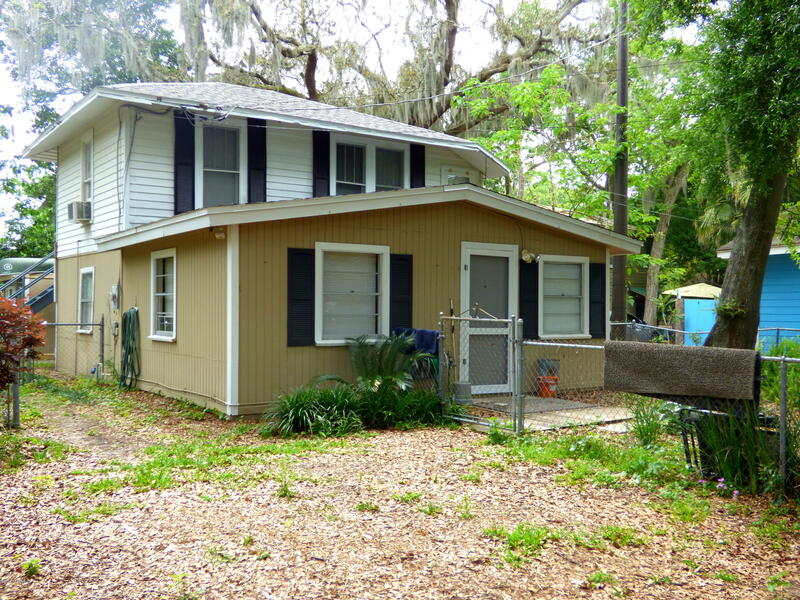 Main house features 4 bed/2 bath and the other side is 1/1. Both sides are in need of some TLC, but are priced accordingly. Roof approx. 5 years old. Description: Home currently used as Airbnb and is always booked! 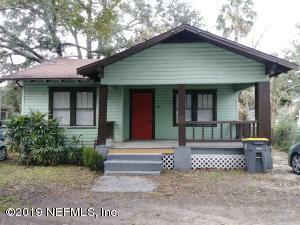 Easy rental opportunity with virtually no vacancy rate. Located in the heart of Historic Springfield. The ''Beach House of Springfield'' gives the best of both worlds. Vibrant colors and charm with a classic historic feel. Hardwood floors, tall ceilings, and an open floor plan. Separate formal dining room. Kitchen has large pantry and cooking island with gas stove overlooking the family room and gas fireplace. Back deck off the family room and private deck off Master Suite. Master bath includes double vanity sinks, separate stand up shower and tub, plus large walk-in closet. Ample storage throughout including under stairs. Home has sprayed insulation in attic and under flooring. 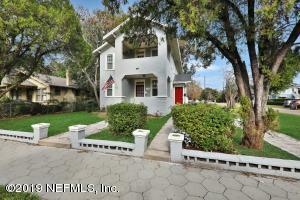 Also listed under Residential MLS #981316. 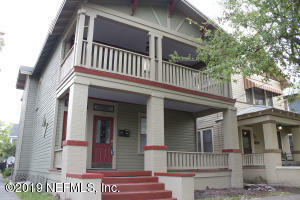 Description: Great 3/1 rental in the heart of Springfield. Street parking and fenced in backyard. 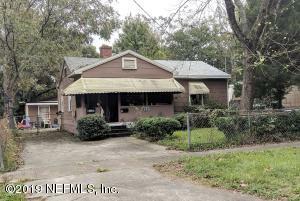 Description: Beautiful Investment Opportunity in Historic Area of Springfield. Can be used as single-family or 2 dwelling units. The house is completely gutted on the inside and needs a complete renovation - it is uninhabitable in its current state, and is being sold as-is. New roof done on 10/23/2014. Third floor can be used as livable space if converted. Any renovations to this house would need to be approved by HPC (Historic Preservation Commission) due to it being one of three historic districts in Jacksonville. See SPAR guidelines in document section. 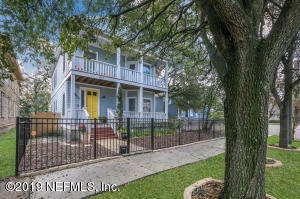 FHA 203k ''rehab'' loans are a possibility. Description: Move in Ready. Turn Key. 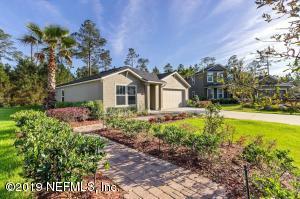 This former model home boasts laminate flooring throughout home with two large walk in closets. The kitchen has 42 in cabinets with crown molding and a large island. Beautiful well manicured lawn and landscaped. Come take a private tour today. Close to NAS Jax and the Oakleaf shops & restaurants. Description: INCOME PRODUCING INVESTMENT OPPORTUNITY! 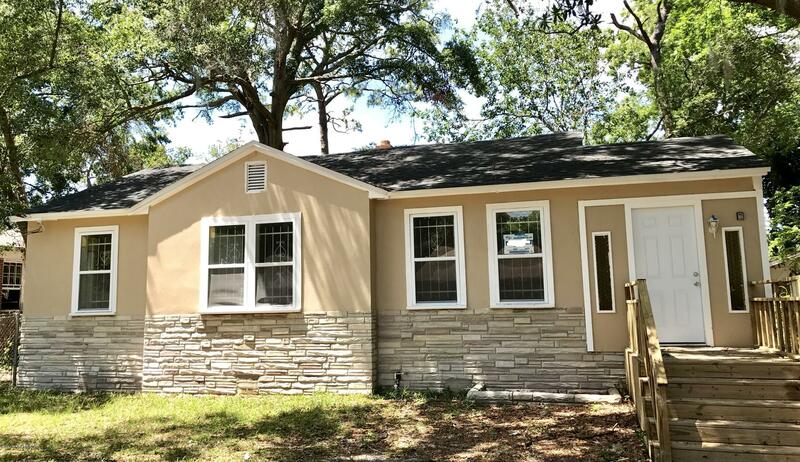 New windows, kitchen cabinets, counter tops & appliances, paint interior & exterior and carpet in bedrooms completed 8/2017. Tenant Occupied. Pics were taken prior to tenant moving in. Property is being Sold As-Is. Seller will not make any repairs. Description: Investor Special. 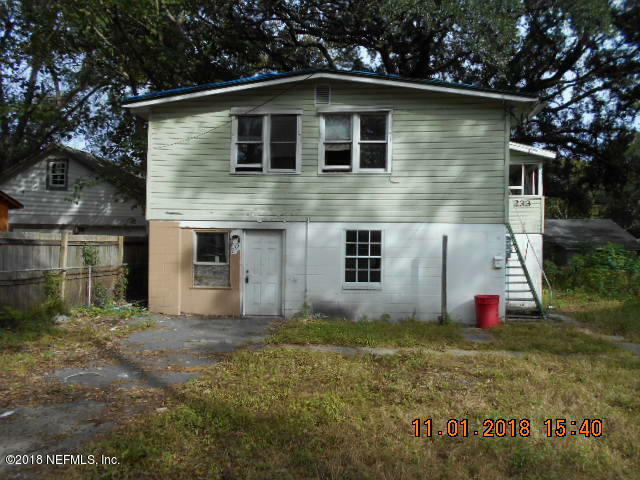 Full rehab needed but Property can be a single family home or a 2/1 Duplex. Bring your contractor and make this unit a BUY AND HOLD CASH COW!!! Description: This is a AMAZING INVESTMENT OPPORTUNITY and will go FAST!!!! 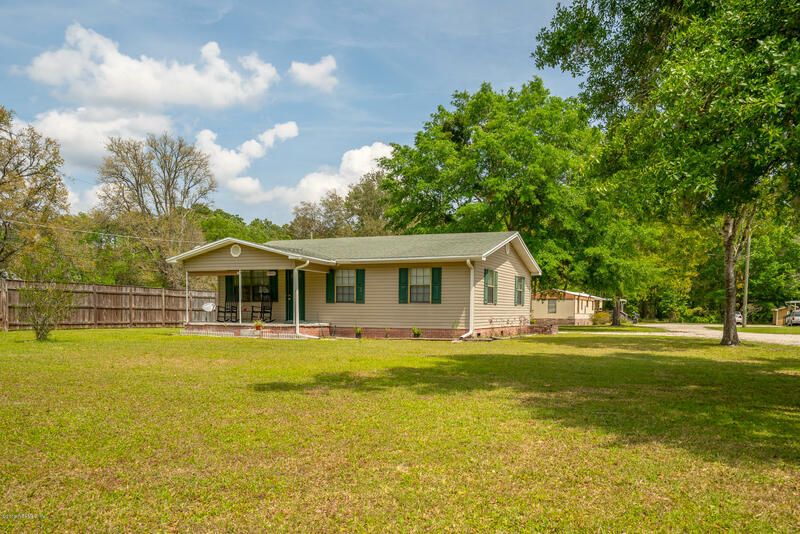 1.84 acres features a main house and 3 mobile homes all producing income. 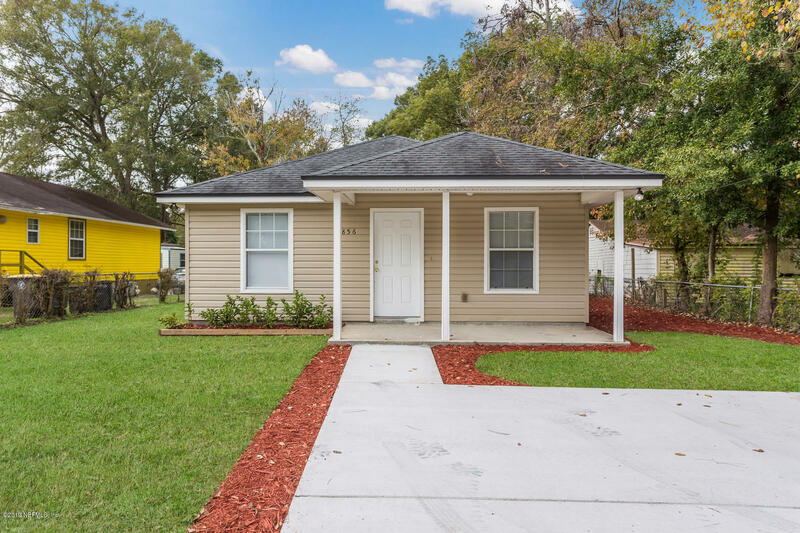 The house features 3 bedrooms and 1 bathroom with tons of cabinet space, oversized kitchen with tiles floors. Living room and bedrooms have woodlike plank flooring making clean up a breeze. Back porch has a detachable ramp and is covered perfect for all types of weather. This property has long term tenants that are currently on month to month but all want to renew, in total the 4 homes bring in est $3000.00 per month THAT IS EST 15% RETURN!!!! Description: Great Investment Opportunity!!! 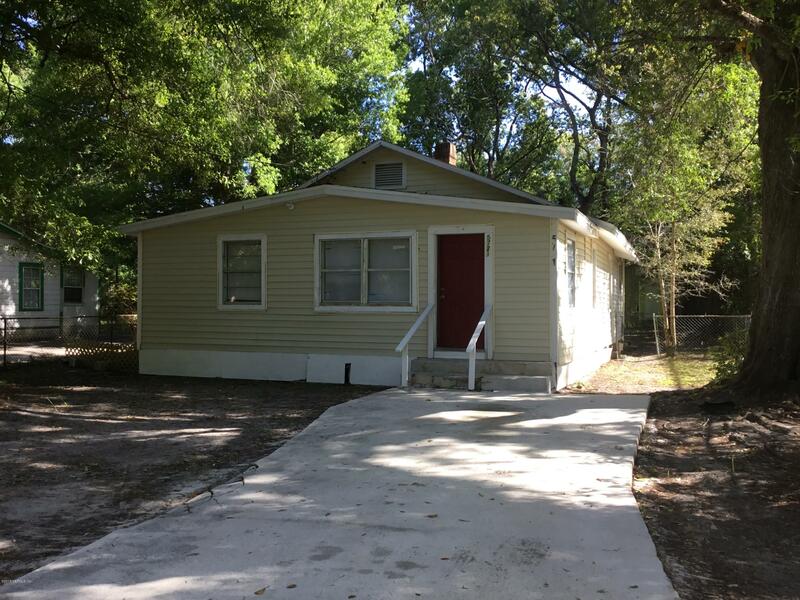 This Duplex is completely renovated with a 16% Cap Rate (Unit #1 is a 3/1 and Unit #2 is a 2/1). It sits on a quite Street with Off-Street Parking and, a Front and Backyard.